i took my report card at school, alhamdulillah a satisfactory progress, i was ranked the 2nd best student in my class, thanks God and everyone! after that i and family started our holiday trip. hoooraay haha. at 16.30 we finally arrived. really beautiful beach on a cool afternoon! 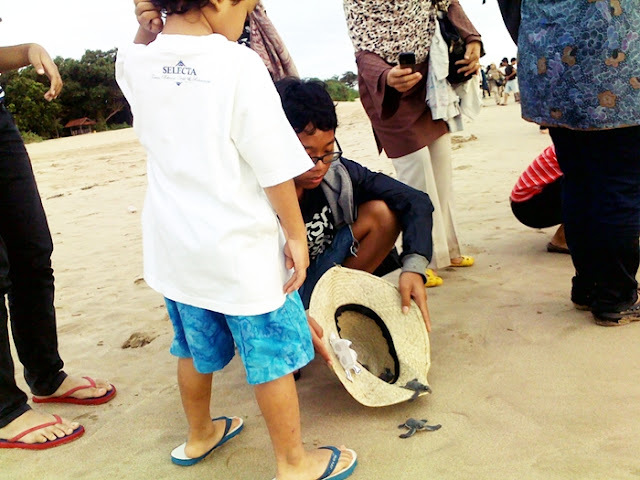 Yap, we were on Ujung Genteng, Sukabumi at the time. in one night, they will crawl to the edge of the beach as far as what it is capable. it dug a big hole, then puts their eggs on it. it'll bury the hole, and walk to the sea again. goodbye big turtle! hahahaha. we head back to cottage by used more than 15 ojegs :p we were convoy that nite. it was so beauty the beach scenery at 00.00 ! you know what? our ojegs crossed the sea! 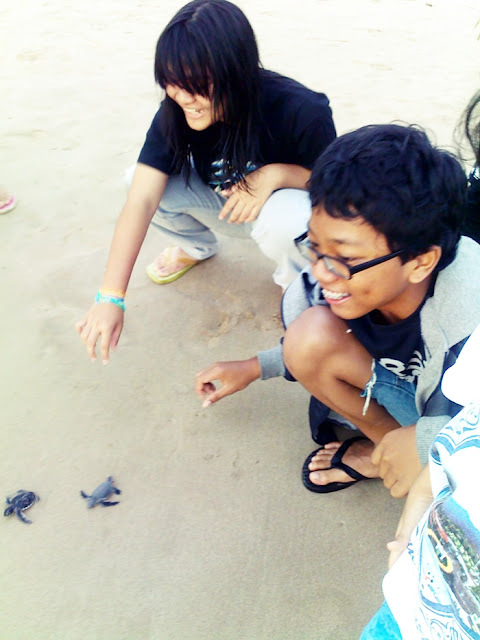 but still in the shallows-__-. so tired! a lil crab, the animal most often found around the coast. while the others played in the sea, my father went to a fisherman's house, looked for some fish that fisherman caught. 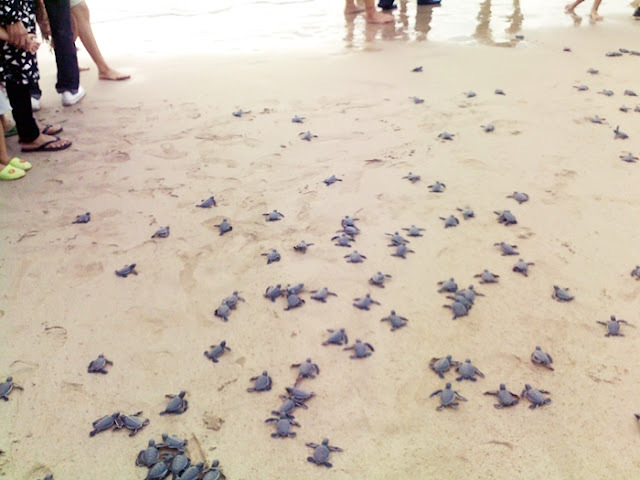 we took a bath, had a breakfast, and attended to the release of baby turtle (tukik). wanna see how fun was that? my mom took it home haha. 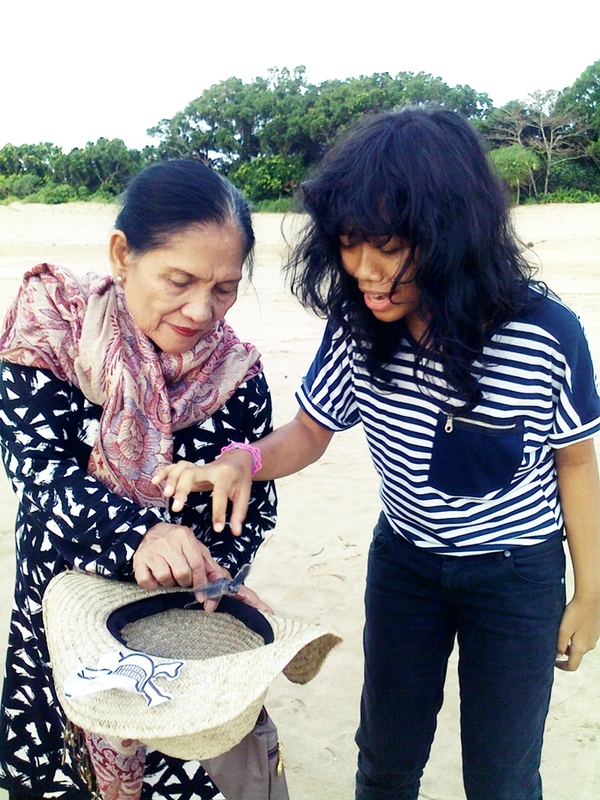 and last, we went back to Bogor. so damn amazing 2 days! !